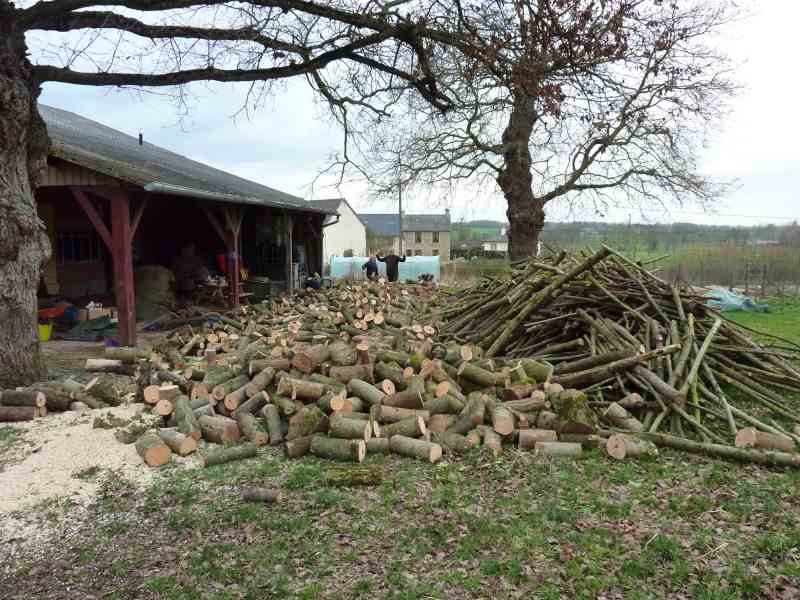 permaculture in brittany: Registering our gratitude. 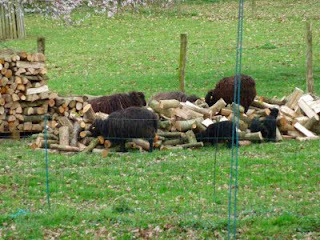 That’s pretty much the gist of it : thanks to a lot of friendly people—and a few sheep—who helped us process a huge pile of felled tree into neat stacks of cut and split logs to heat us through next winter. 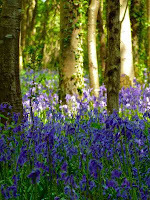 We thinned and tidied up a parcel of our woodland—where the bluebells are unrolling their beautiful spring carpet more and more each year—to let in more light help some of the better trees to fatten up. 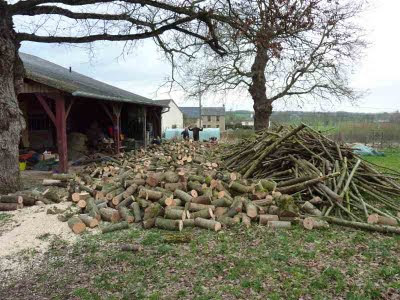 Thanks to Mélanie and Patricia for helping drag out the felled trees and stack them for collection. We clear-cut another parcel of about a third of an acre to replace its sycamore monoculture with a mixture of black locust (false acacia) silver birch and sessile oak and thinned a mixed section (of Corsican pine and some broadleaved trees). 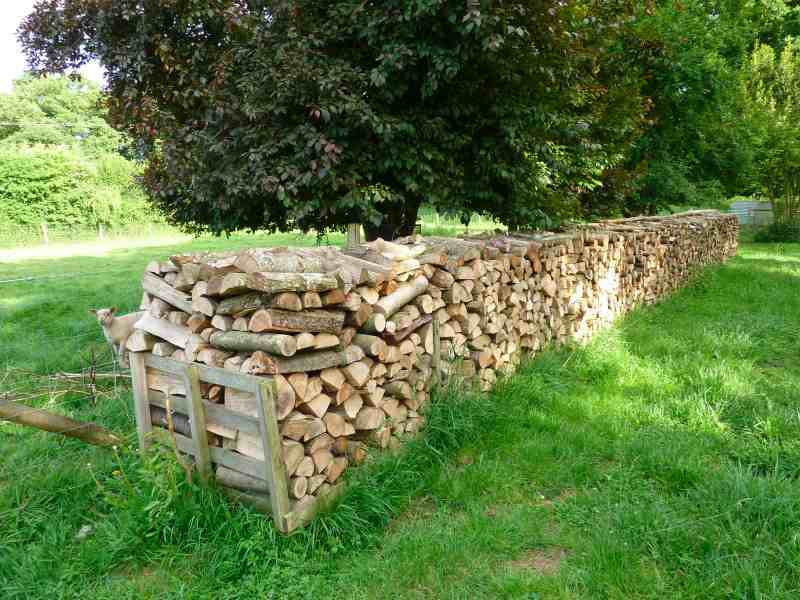 Thank you to Andrew and Sue for helping to extract and stack that wood. Volunteer-less, after a late cancellation, I asked neighbour Paul (recently retired from a lifetime farming pigs) not only if I could borrow his tractor and trailer as I usually do but if he could help me. We did seven very full trailer loads together and I collected a further three on my own the following day, so a big remerciement to Paul. Now we had a big pile of wood to process. Firstly artist Alastair, fine artist of international repute, helped create a long installation which, whilst not having an actual ‘meaning’ per se, is meant to evoke cosy evenings in front of a roaring log fire and entitled, “I’m knackered”, at least that’s what I think he said. Thank you Alastair. Clive and Wendy turned up next and while Clive and I chopped up the thinner lengths, Wendy and Gabrielle spilt the larger logs of Alastair’s art installation. Clive also started barrowing up logs to where they would be stacked. Vielen dank! Running out of helping hands, I got the sheep involved (extra photo to allay your doubts that our sheep can stand on two feet) but they were slow workers and spent too much time chatting. 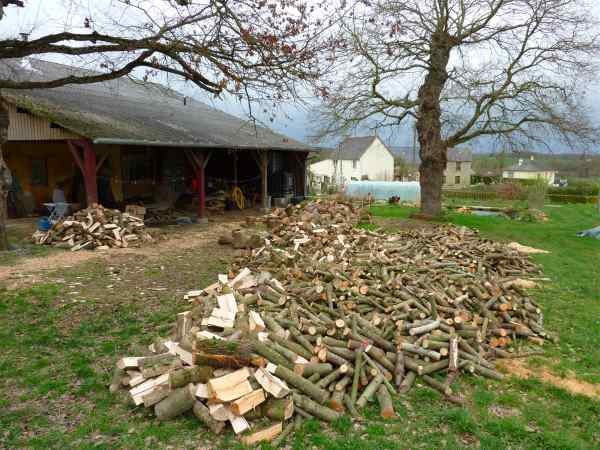 So when Merle and Darrell came to look after our permaculture smallholding when we had to dash to England for family reasons, Darrell made a damn fine job of creating a very French woodpile. 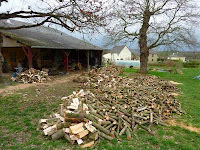 That left a residue that I attacked piecemeal myself until, Kev, a holidaymaker in our gite, came to see what all the activity was about and, rather foolhardily you might think, asked whether he could help; that’d be a ‘yes’ then. 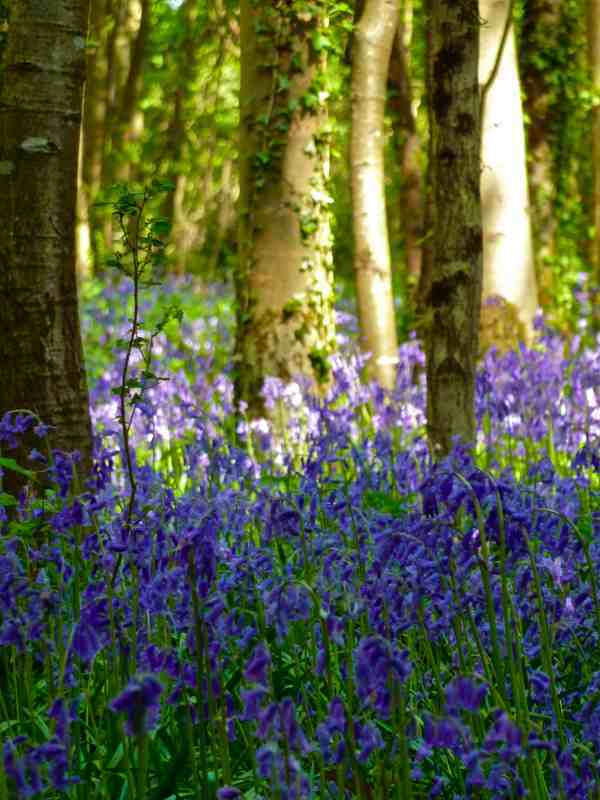 If Catofstripes has woodpile envy, I have bluebells-in-the-forest envy! They are so beautiful! What a gorgeous place you have. So pleased to stumble across your site. I'm using permaculture principles on a much much smaller scale (inner-city Sydney). Lovely to read back over your journey. I'm not working today, having hurt my back yesterday trying to help someone move a very heavy and very ugly jukebox. So I'm taking the opportunity to tidy up my inbox and a pile of paperwork. 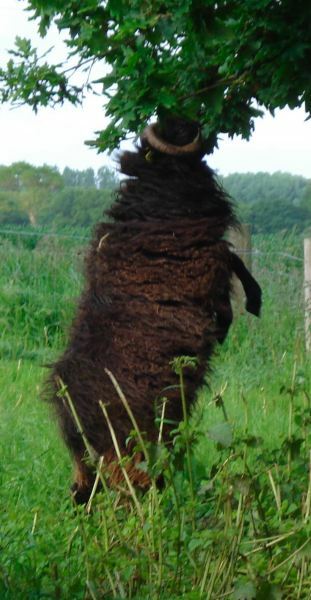 Sorry I haven't thanked you both earlier for stopping by and leaving a comment, it's always appreciated.